Lara Boyle is an MD/PhD student in the Neurobiology and Behavior Graduate Program at Columbia. In the lab of Steven Siegelbaum, she studies how the brain forms memories of social experiences, and how those memories play into behavior. In her free time, she cooks, brews beer, and plays too many board games. She believes most people would benefit from talking to a therapist now and then. All comments from readers welcome! Ethan McCurdy is a PhD student in the Department of Biochemistry and Molecular Biophysics at Columbia. He is also a Fellow of the National Science Foundation and currently studies how local translation of proteins can inform our understanding of acute molecular responses in neurons. When not in the lab, he enjoys teaching about neuroscience, writing music, and exploring New York City. Amy Jobe is a graduate student in Joachim Frank's lab, where cryo-electron microscopy and image processing are used to create high-resolution 3-dimensional structures of the ribosome. Her other scientific interests include synthetic biology and molecular evolution, climate change, and epigenetics. She hopes to raise awareness about unconventional career opportunities after the PhD. Deepti Mathur is a PhD student in the Integrated Program at CUMC. In Ramon Parsons's lab, she studies how cells alter their metabolism after losing the tumor suppressor PTEN. She is also interested in the broader nutritional impacts on cancer, and cancer prevention. Through this blog, Mathur hopes to connect readers to new research and address scientific findings that have caught the media's attention. Franklin Garcia is a PhD student in the Pathobiology and Molecular Medicine Program in the Department of Pathology and Cell Biology at CUMC. In Peter Canoll's laboratory, he studies the role of the R132H mutation in the IDH-1 metabolic enzyme in altering the phenotype of white matter progenitor cells and the mechanism by which distinct subtypes of gliomas are formed. 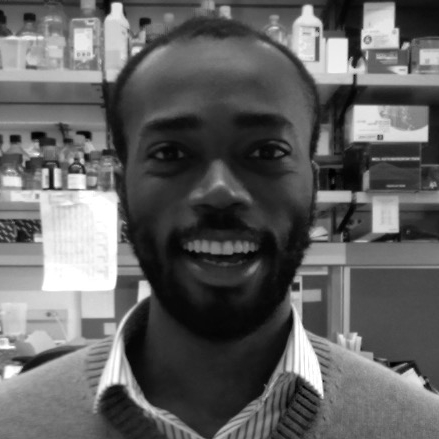 He is a fellow in the HHMI Med into Grad Initiative, which aids in translating biological knowledge into effective medical treatments and diagnostics. He hopes to pursue a career in science writing and research policy to advocate for science funding and report scientific advances to the public. Beth Stivison is a PhD student in Columbia's metabolic biology program. In lab she studies the mitochondria, and how cells survive after these organelles are damaged. Beth hopes that some of her love for science can be useful not just in the lab, but in helping to make current research a little more accessible to everyone. Beth's other interests include learning and teaching about local ecology, especially of the Hudson River. She also enjoys playing and writing music. Kathryn Birkenbach is a PhD student in Nutrition & Metabolic Biology program at Columbia and currently studies the cerebellum and its role in metabolism and gastrointestinal function. Kathryn is active in STEM outreach and plans to devote her career to making science more accessible to the public. Outside of the lab, Kathryn can usually be found hiking, dancing, or cheering on her alma mater, Duke University. And on very special occasions, all three.